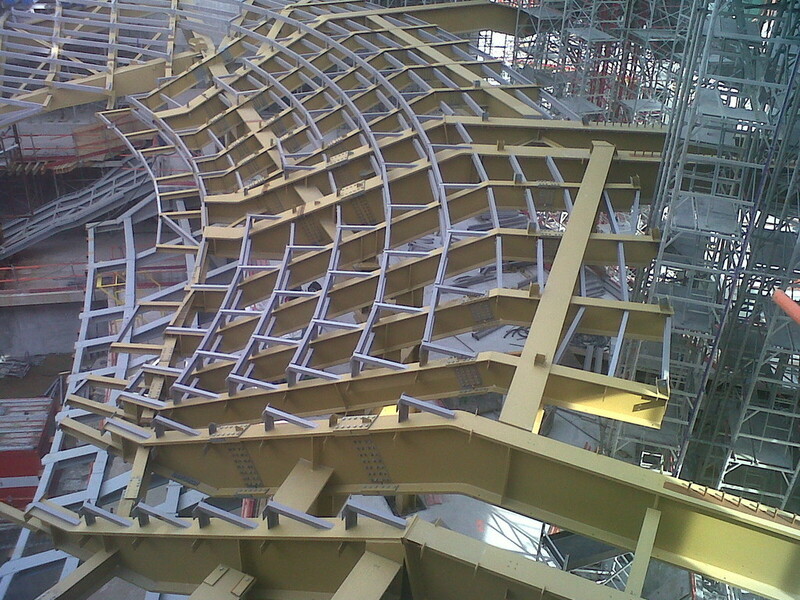 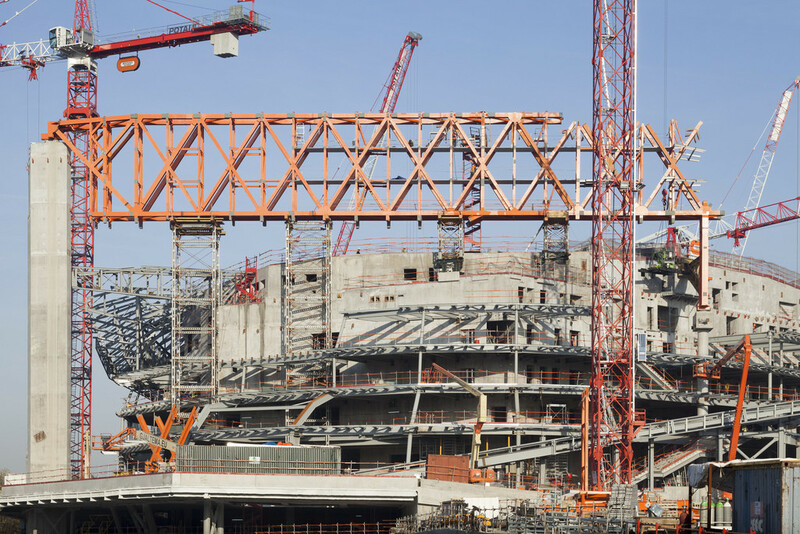 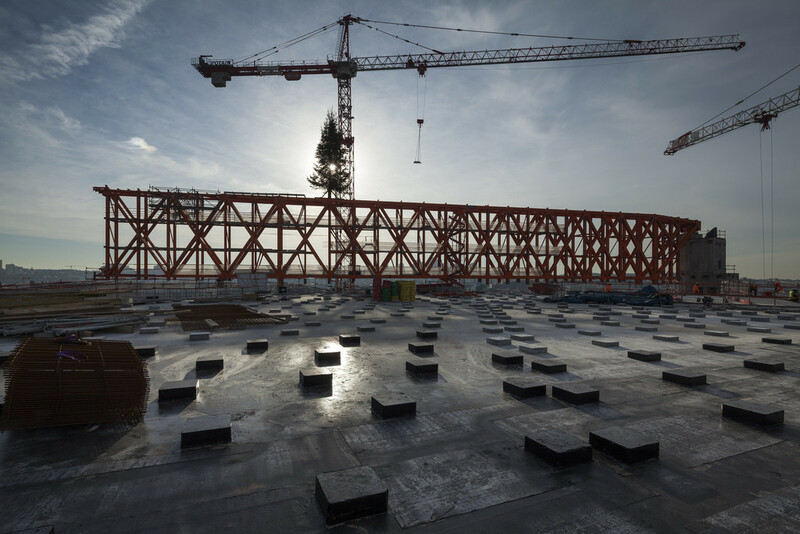 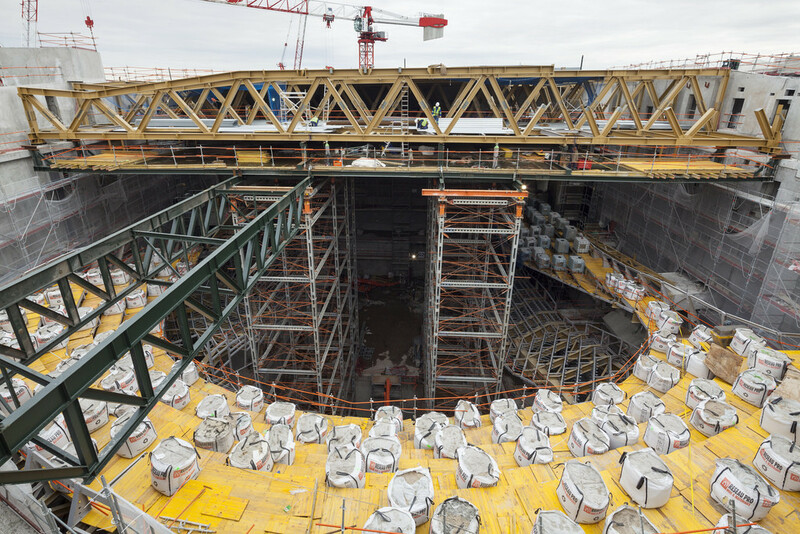 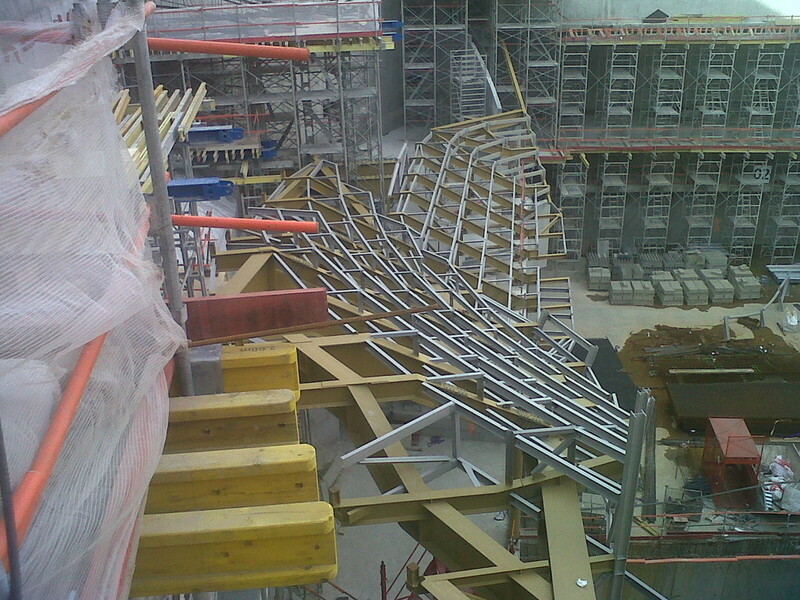 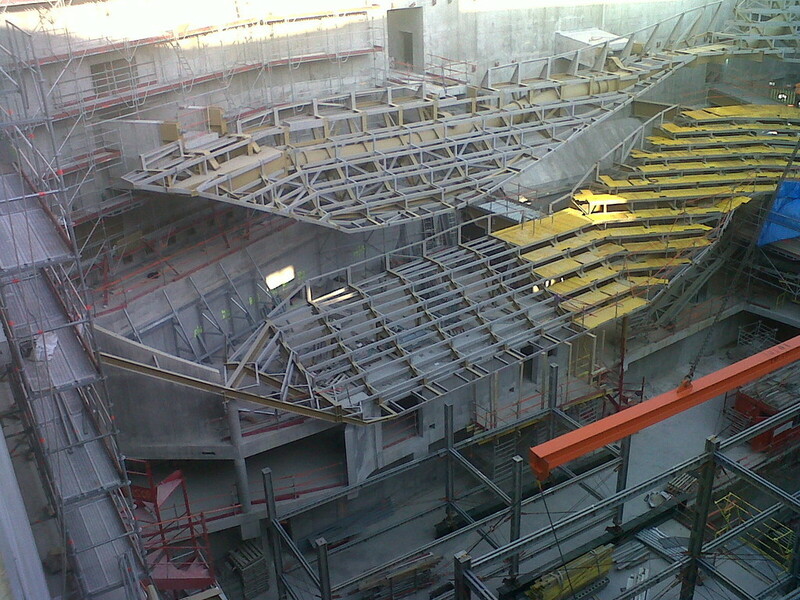 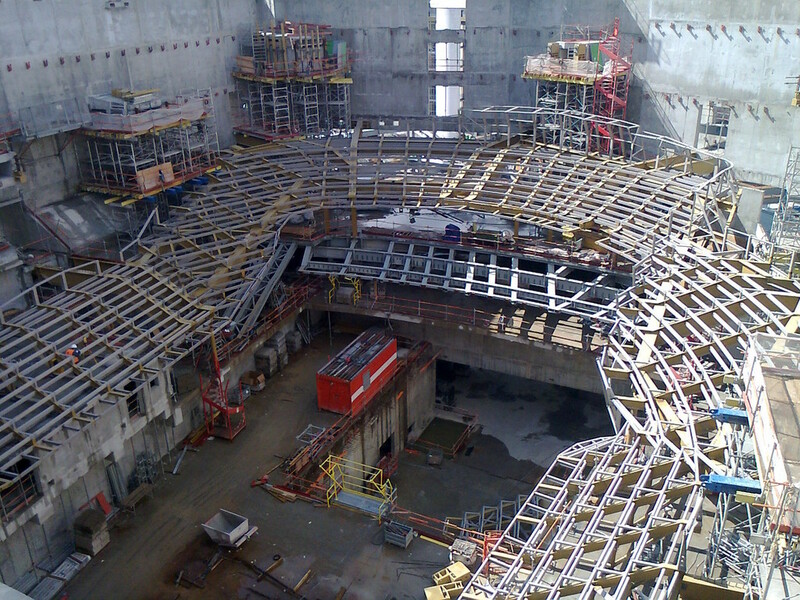 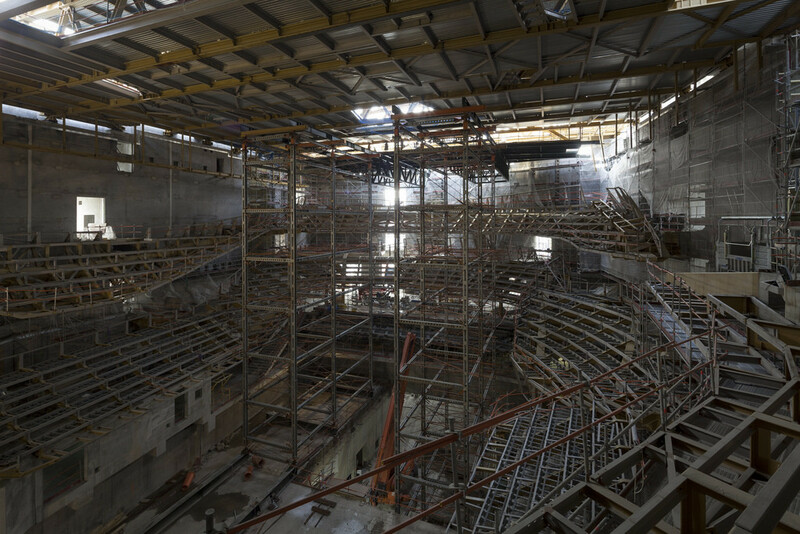 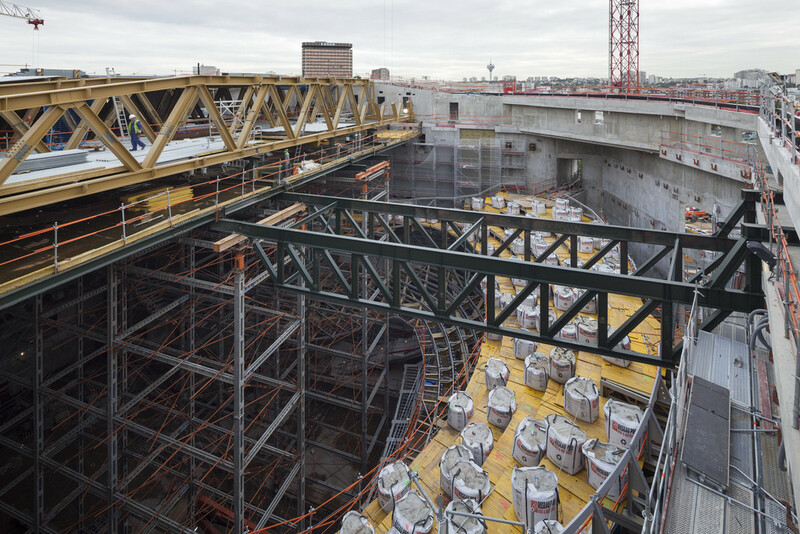 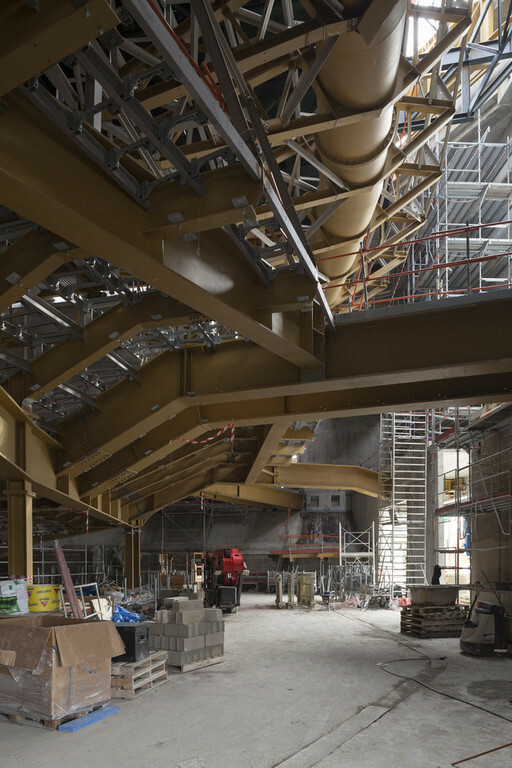 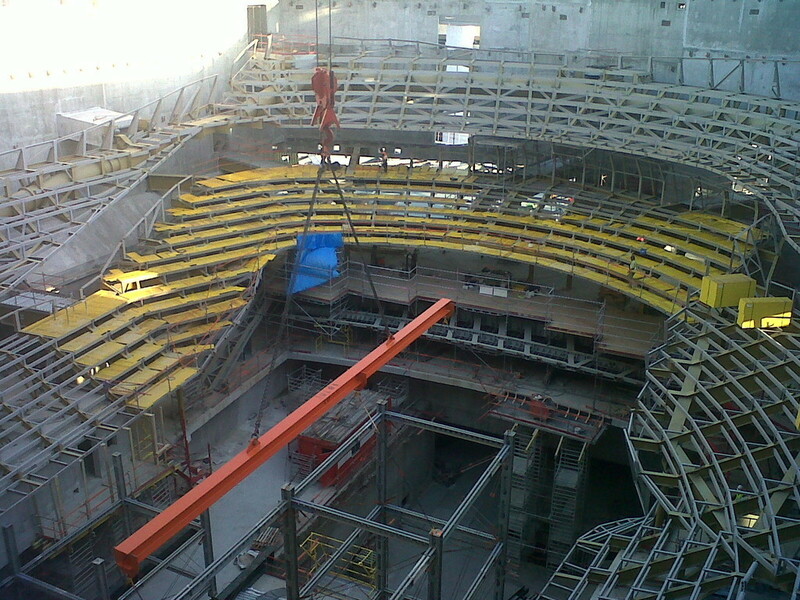 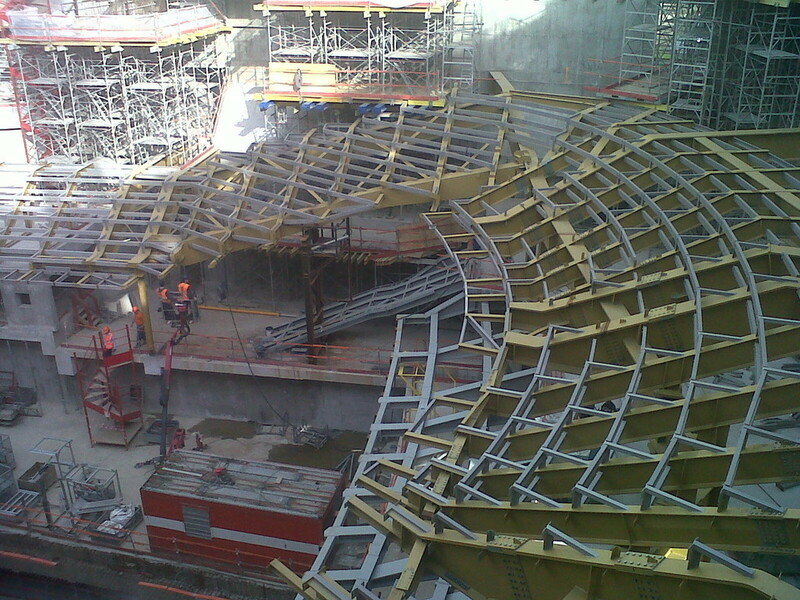 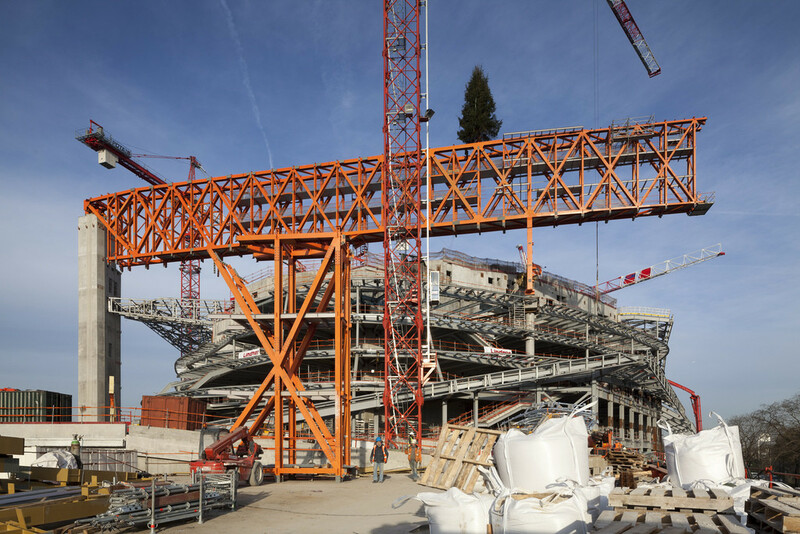 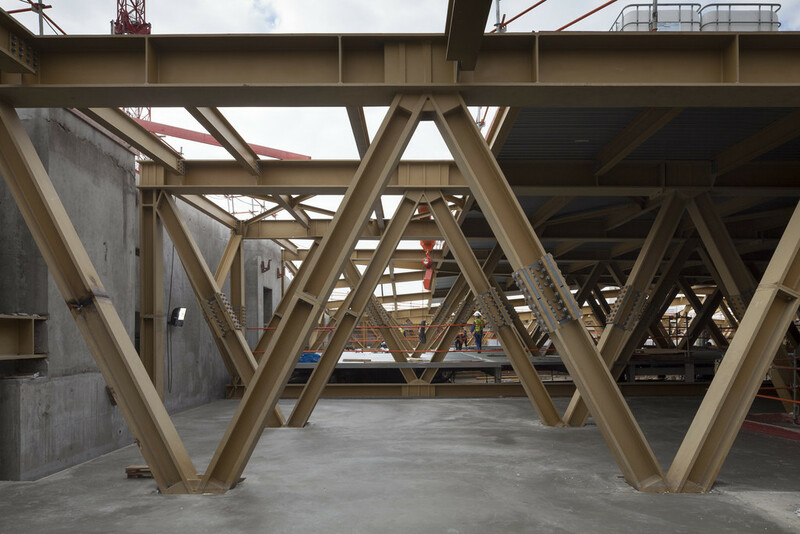 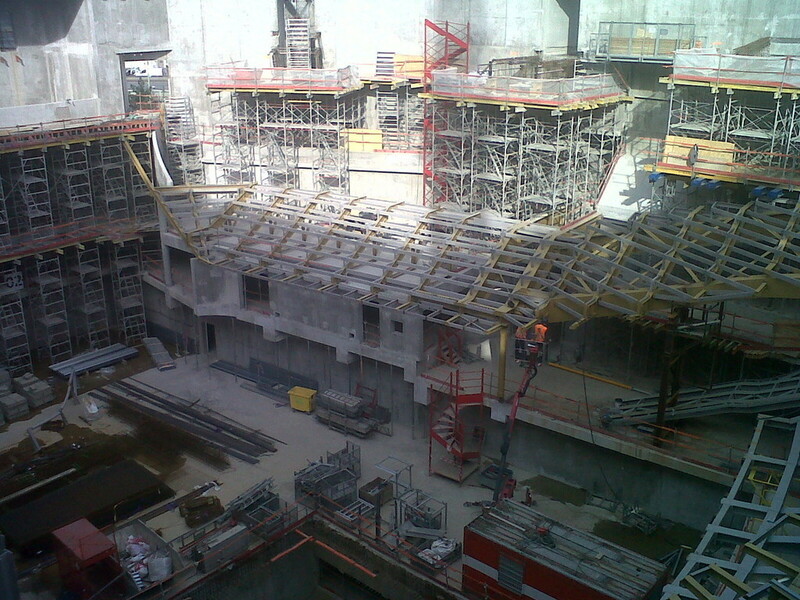 Steel construction for the main hall (grandstands and roof) and external screen of the new concert hall for the Philharmonie de Paris (Paris, France) designed by the architect Jean Nouvel. 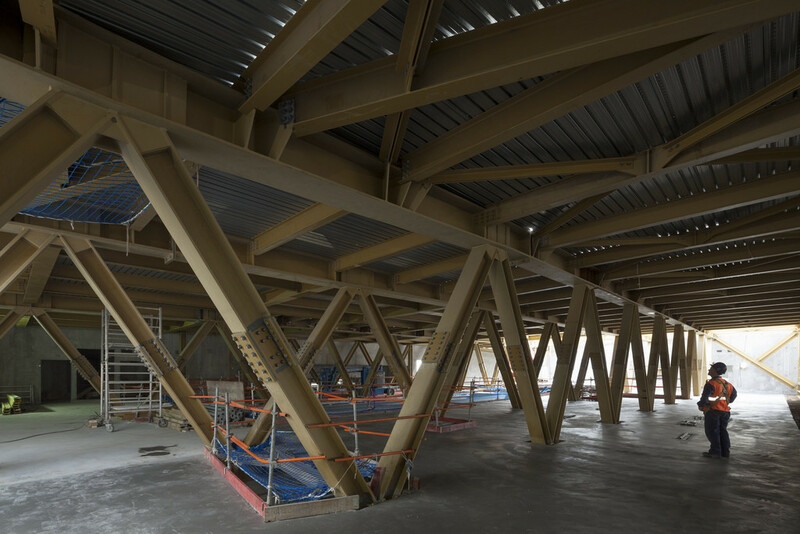 The project, composed by 2100 tonnes of mainly bolted steel structure, is currently being erected with the main hall already installed. 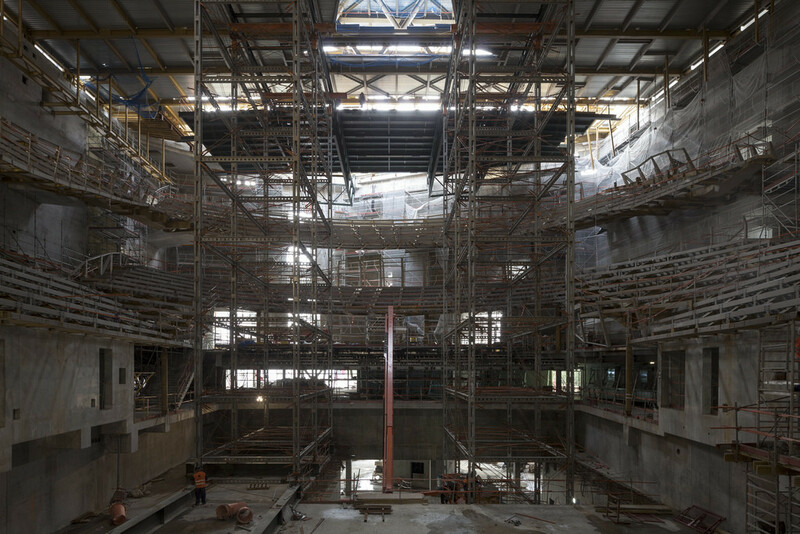 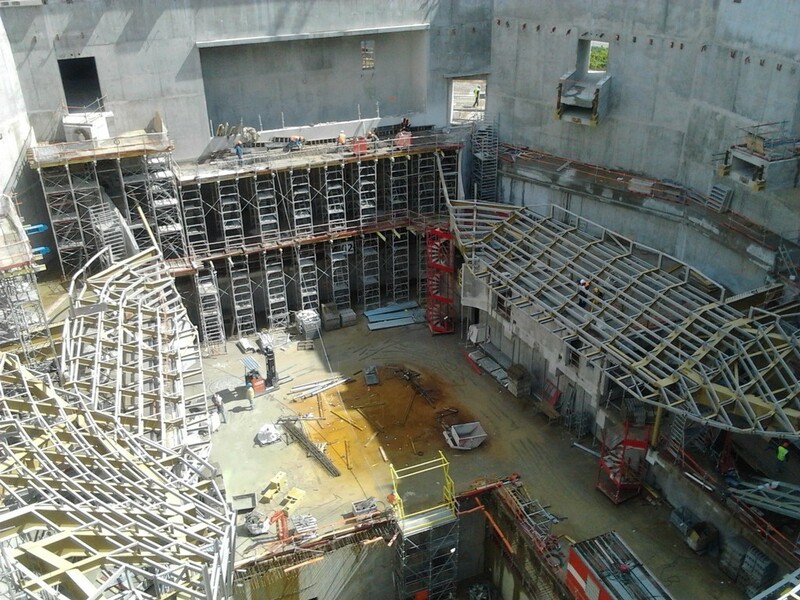 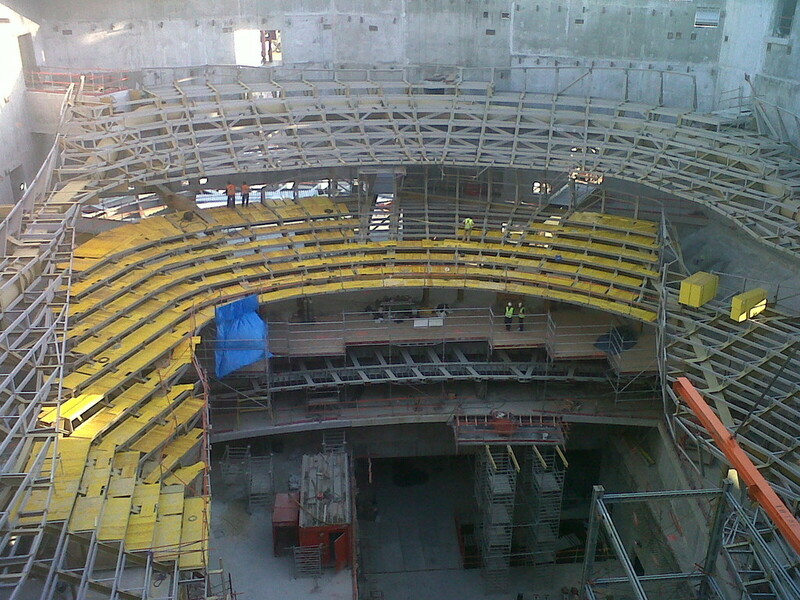 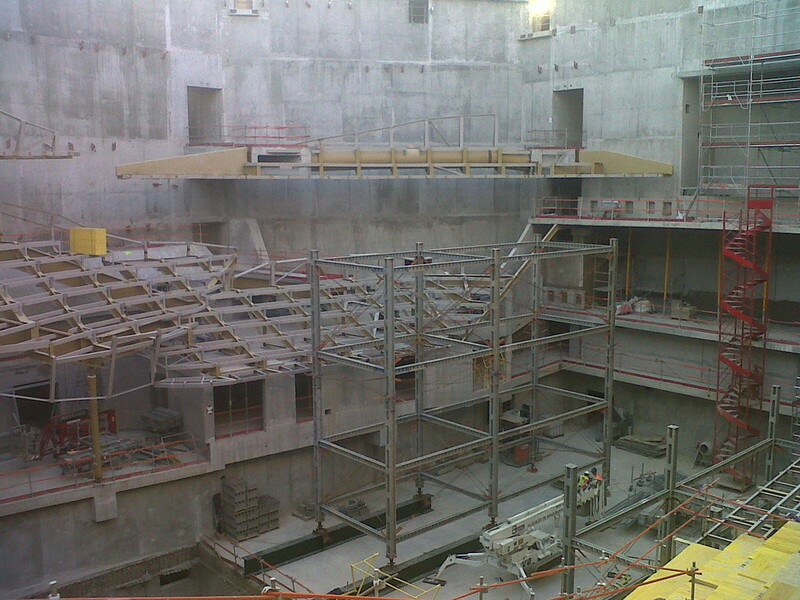 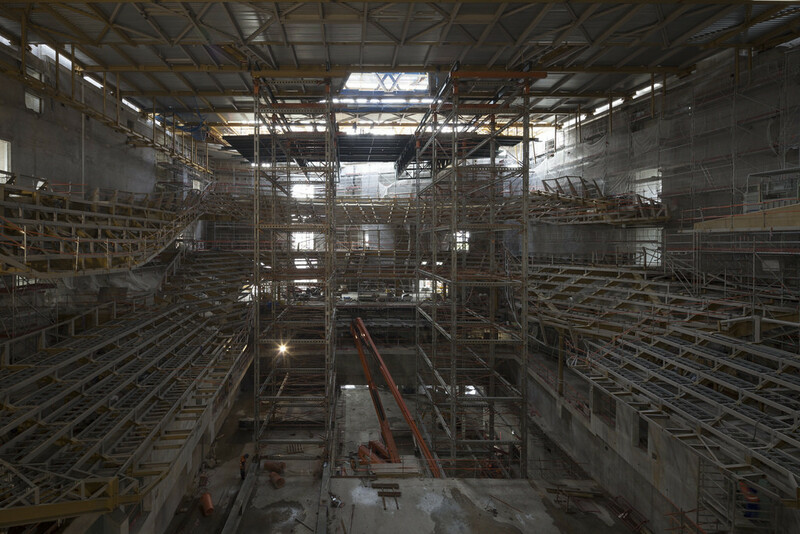 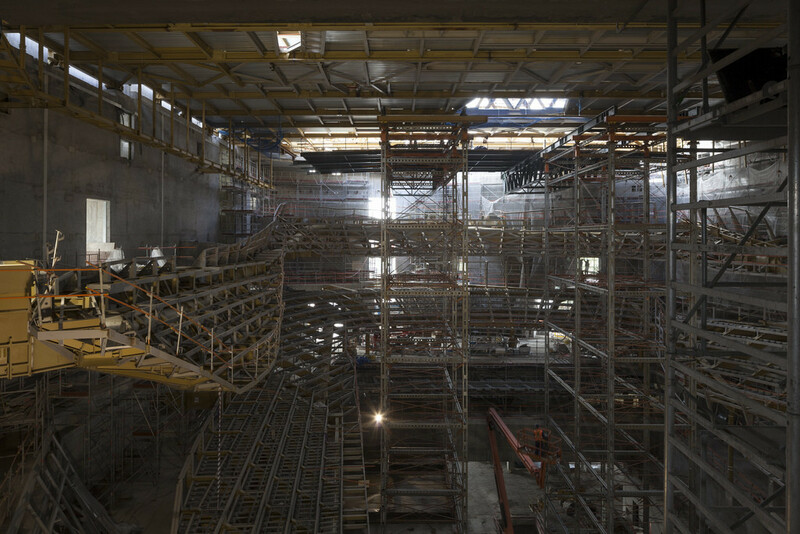 The steel construction, performed by the company Elaborados Metálicos EMESA, counts on the participation of SEA-Site Engineering Assistance for the project management.